Should your logo sell you and your product or service? Or should it identify who you are? 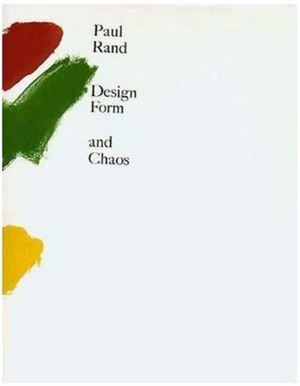 20th-century graphic design pioneer Paul Rand insisted that a logo’s purpose is not to sell. Its purpose is to identify. Picture the IBM logo. Would you have any idea what “IBM” stands for if you didn’t already know what it stands for? Rand designed the first version of the IBM logo in 1956 and revised it over the years. Or think about the Nike “swoosh.” (Not a Paul Rand logo. It was conceptualized by a graphic design student named Carolyn Davidson in 1971.) Like those letters “ I-B-M,” the Nike logo is universally recognized. But we’re talking about just three letters and a swipe of color. The selling point of both these logos comes from the fact people already recognize the companies behind them as leaders in their fields. A logo is a flag, a signature, an escutcheon, a street sign…. A logo derives meaning from the quality of the thing it symbolizes, not the other way around. A logo is less important than the product it signifies; what it represents is more important than what it looks like. The subject matter of a logo can be almost anything. Letters. A geometric swoop. Almost anything. I really love this quote by Paul Rand! Yet as we design logos for small businesses, we often end up with images that are tied to the client’s actual product (or service). And many of my recent “Design Picks” (Fields of Ambrosia, Art for Water, and the Rindge Rec Department) are logos that clearly spell out what the business or organization is all about, even if – as with two of those three – the name doesn’t. The owners of smaller businesses with limited budgets usually want a combo name-image when hiring someone to design a logo. Companies with an International Business Machines-size budget can afford to run huge marketing campaigns that include both a simple logo and images of the products. An indie retailer often has a single chance – the sign above the front door – to tell potential customers everything they should know about that business. But this doesn’t mean small businesses should squeeze every last detail onto their signs. Clutter is not a good promotional concept. There’s a balance between the designer’s urge for something purely artistic and the business owner’s desire for word-heavy detail. Does your small-business logo strike that balance? If not, let’s talk. And if you have an IBM-size budget, let’s talk, too! Copyright © 2018 Infusion Studio LLC. All Rights Reserved.